This is a list of all your products. You can provide all your products including products, car types, series, and brands here. 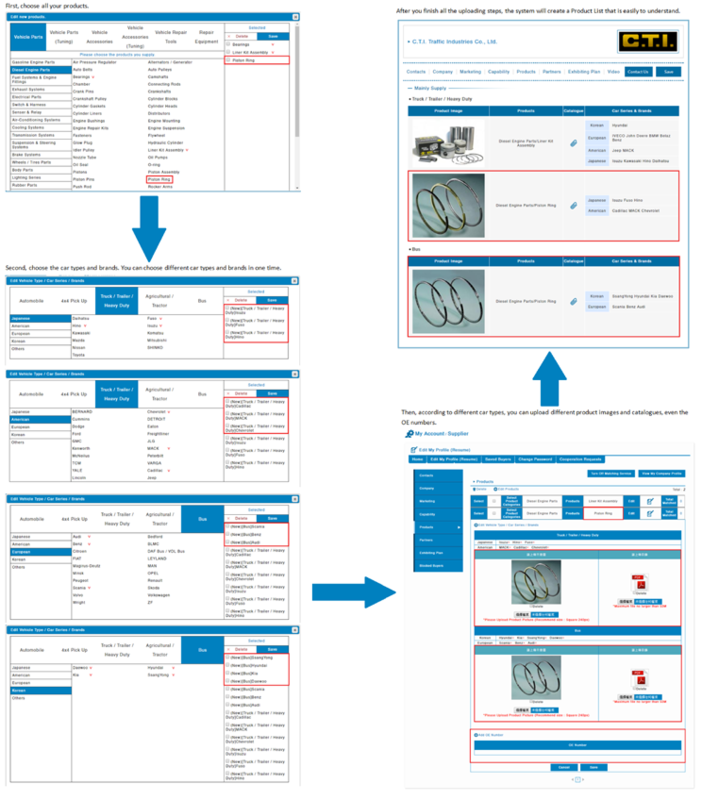 Moreover, you can even upload your product catalogues here. The System will create a clear Product Supply List for you. Once buyers see this list, they will see not only your series products, but also classified catalogues. Moreover, the System will make your Product Supply List into matching elements. Thus, you will receive Cooperation Requests from buyers and matching results with buyer list that meet your supplies until you turn of your Matching Service. With the Company Profile,expressing advantages andsuperiority of your company more clearly will no longer be aproblem. Uploading products is not a suffering drudgery anymore. From your company information to product catalogues,even exhibition plans,all information buyers want to know has beencollected into yours Company Profile. © 2019 Match Supplier All right reserved.